Subject: Has the Great Gold Crash Divorced Bullion from Futures Prices? two × 4 = Required Please enter the correct value. Has the Great Gold Crash Divorced Bullion from Futures Prices? Does Investing in Gold Top Your List of "Best Investments"? Can Gold Miners Increase Profits Through Spin Offs? 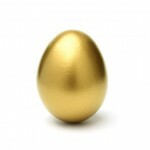 How Will the Debt Ceiling Debate Affect Gold Prices? Why Are Gold Prices Down? Gold Prices: What Happened to the Rise? The Great Gold Crash in April has likely set in motion one of the biggest shifts in precious metals markets in a lifetime. While some big players likely stepped in to crush the markets for personal gain, they may have accidentally also made a move that will divorce gold and silver bullion pricing from gold and silver futures. Forget about gold miners vs gold stocks, we're talking a whole other level of magnitude if this trend takes hold. It's been a good few days for investors holding on to gold, and we've been getting lots of questions as to why gold prices are up this week. Gold futures had their biggest one-day gain of the year Thursday, up nearly $40 an ounce, and ended the week up 4.2% at $1,453.60. At one point this week, gold had retraced half the loss it incurred during its April nosedive. In a two-day period, the yellow metal fell $225 an ounce, hitting a two-year low on April 15. It is natural for any financial asset to enjoy some sort of a rebound after such a steep plunge. But there are some sound fundamental reasons as to why gold is up. Even though the Dow Jones Industrial Average and Standard & Poor's 500 Index have hit record highs this year, investing in gold remains the top investment pick in CNBC's latest All-America Economic Survey. The March poll shows the yellow metal is the favored investment choice among 35% of respondents, beating real estate at 27% and stocks at 21%. This is the second year that investing in gold has topped the list of what those surveyed consider the "best investment" to make now. While survey participants are more optimistic this year than last about the stock market, 21% are uncertain if now is a good time to dabble in stocks, up from 11% in December 2009. Those who believe the current environment make it a good time to buy stocks jumped from 31% in November to 40%, the highest amount since December 2009. Moreover, in spite of the improved outlook for stocks, the overall view of the current state of the economy remains bleak. Currently, 60% of those surveyed are pessimistic about the U.S. economy, up from 56% in November. After more than a decade of merger mania, gold miners are now looking to spin off some of their acquisitions. By doing so, the gold miners hope for better results after abysmal performance recently, as gold prices have fallen. And, as always, gold miners' profits rise and fall much faster than the yellow metal's price. The underperformance of the Market Vectors Gold Miners ETF (NYSE: GDX) compared with that of the SPDR Gold Trust (NYSE: GLD) bears this out. GDX is down 20.5% since the end of last year, while GLD is down 4.8%. Investors are starting to get really impatient with the gold miners - so much so that billionaire hedge fund manager John Paulson is arguing some of the world's biggest gold mining companies, including AngloGold Ashanti Limited (NYSE: AU), spin off some of the mines that they have acquired through M&A over the past 10 years. Paulson, the largest shareholder of GLD and AU, thinks the sum of the parts is greater than the value of the whole mining company. Paulson certainly can't be pleased with AU's 23.5% decline so far in 2013. Other gold majors, including Gold Fields Limited (NYSE: GFI) and Barrick Gold Corp. (NYSE: ABX), have already spun off some of their mines or are in the process of doing so. They almost HAVE to. Fact is, gold mining companies' stocks specifically have lagged the performance of the precious metal for six years. Here's why investors can expect a reversal in the next nine months. In recent years, global gold production has been at or near record levels. The plentiful supplies have led gold bears to argue that the yellow metal's decade-long bull run will end. But gold bears are dead wrong. In fact, the 'glory days' of gold production may be ending soon. That's because some industry experts are beginning to point to a gold "production cliff' that is looming not far in the future. And this coming decline in production can mean only one thing: higher gold prices. Renowned bond investor Bill Gross, the manager of PIMCO's Total Return Fund, the world's largest bond fund, just shared his top investment picks with Barron's. Leading the savvy investor's short and selective list was gold. Why is a bond bull keen on investing in gold? It's because Gross sees gold as a stellar inflationary hedge as global central banks attempt to reflate their economies. Gross explained that while it looks like loose monetary policies and the deluge of dollars will continue for a while, at some point both will have to stop and "when all this money printing by central banks ends, it won't be pretty." Gross sees trouble brewing in the artificially-priced U.S. Treasury market. "The Fed is buying 80% of the Treasury market today. It is remarkable to think that when the Treasury issues debt in the trillion-dollar-plus category, the Fed ends up buying most of it. The Treasury sells it to banks and primary dealers, who sell it back to the Fed at a higher bid," Gross explained. "This is very different from the free-market capitalism we've come to know. And it will continue until inflation exceeds the upper end of the central bank's target of 2.5% or, by some miracle, we get real economic growth," Gross continued. The artificially priced bonds leave investors to question if investing in them is worth the slender reward, given the paltry yields from a bevy of bonds except high-risk junk bonds. There are plenty of reasons for you to have some gold stocks in your portfolio. Governments are stockpiling record amounts of the shiny metal. Mints are pumping out new coins as fast as they can. And the Fed under "Helicopter" Ben Bernanke is wallpapering the world with greenbacks, pumping out $85 billion a month until...well, who knows when? The Europeans have joined the party by bailing out their weak sisters with hundreds of billions of euros. And the Bank of Japan just announced a $1.2 trillion bond purchase program for 2013 and $150 billion per month after that - almost twice the size of the Fed's folly. Now the yahoos in Washington are threatening to spill more blood over the debt ceiling. All this spells big upside for gold prices in 2013...and the companies that produce gold. Anyone investing in gold should recall that before the financial crisis in 2008 central banks were dumping the yellow metal - when it was trading for less than half of where gold prices are today. But that certainly has changed in recent years. 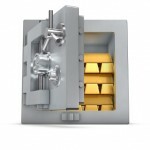 In 2012, the world's central banks added the most gold to their reserves since 1964. Net official gold purchases added up to 536 metric tons, a gain of 17.4% from the previous year according to a report from Thomson Reuters GFMS. The estimate from the World Gold Council for such purchases is similar at 500 metric tons. Central banks are forecast by GFMS to purchase 280 metric tons in the first half of 2013 alone. That's good news for anyone investing in gold. When it comes to gold and gold miners, many investors leave "the driving" to active money managers, who are supposed to understand these specialized assets and the global trends affecting them. But with these charts, you can know what they know right now. Check it out. If you're wondering how the debt ceiling debate will affect gold prices, you need to check out a new report from Goldman Sachs Group Inc. (NYSE: GS). Investment powerhouse Goldman believes gold prices will log impressive gains over the next three months as the debt ceiling debate takes center stage on Capitol Hill. The bank is advising investors to position portfolios ahead of upward moves in the precious metal. "We see current prices as a good entry point to re-establish fresh longs," Goldman analysts Damien Courvalin and Alec Phillips wrote in a Jan. 18 report. "The uncertainty associated with these (debt-ceiling) issues, combined with our economists' forecast for weak U.S. GDP growth in the first half of 2013 following the negative impact of higher taxes, will push gold" to the three-month target, the report stated. The Goldman strategists pointed out six instances between 1996 and 2007 when the country hit the debt ceiling and the Treasury responded by using its muscle to execute "extraordinary measures" to keep the country afloat and running. Gold prices rallied some 10% in half of these instances in the month prior to the debt-limit increase. After hitting its 12th straight year of new highs, gold prices got off to a bumpy start in 2013. "Dr. Doom" Marc Faber even came out Tuesday with a reduced price prediction for gold. In a CNBC "Squawk Box" interview, Faber said, "I don't think [gold] will go up right away, and we maybe have a correction of 10 percent or so on the downside." Faber had also estimated a gold price range in his JanuaryMarket Commentary of "... perhaps down to between $1550 and $1600." But any gold price correction would be a short-term move. Even Faber admitted central bank action is a reason to bet on higher gold prices for the long term. That's why investors should look at any price correction in gold as an opportunity to stock up. By Thursday, the yellow metal jumped 1% after the European Central Bank left interest rates the same and the euro rose against the dollar. The February gold contract jumped $20.90 (1.3%) to $1,676.40 per troy ounce. I had just finished a walking tour of the Royal Canadian Mint when I saw it. Right there, out in the open, was a 400-ounce bar of pure gold. It was chained to a display table and kept safe by an armed guard. At the time, in 2005, the bar was worth $220,000. Today, the same bar is worth $549,200. In just eight years, gold prices have jumped by 150% -- and that's even with a 27% drop from the peak of $1,900 in 2011. But it's not the eternal fascination with gold that has boosted the price. With growing levels of worldwide uncertainties, mounting inflation risks, and government distrust, people are clamoring for gold primarily as insurance. According to the World Gold Council, 2011 saw gold bars and coins reach nearly $77 billion in sales, versus 2002's $3.5 billion. And in November alone, the U.S. Mint's sales of the popular American Eagle coins jumped 131% in the wake of the election. With the market for gold growing at a feverish pace, it's now more important than ever to know that your gold is the real deal - especially now that gold has begun to show signs of a strong rebound. Gold counterfeiting is nothing new. 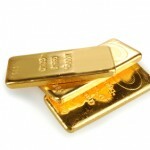 In fact, just recently there were reports of fake gold bars from China turning up in New York. 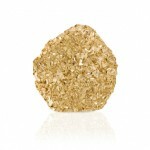 Instead of gold, their centers were stuffed with tungsten. But rest assured there are a number of methods you can use to mitigate the risks of ending up with counterfeit gold. Some are simple, quick, and inexpensive. Others are more elaborate, detailed, and not so readily accessible. Gold bullion, gold stocks or no gold at all? I put that question to Real Asset Returns Editor Peter Krauth last week. You see, there's a lot of interest in investing in gold right now. Or perhaps I should say that there's a lot of interest in what gold might do. And you can certainly understand why. From its November 2008 market lows, the SPDR Gold Trust (NYSE: GLD) - the No. 1 proxy for the "yellow metal" - rose as much as 158%, reaching its peak in September 2011. But it's down about 13% since that time (though it's up 5% year to date), and a lot of folks are wondering what gold is worth, and how they should play it. Wall Street has grown more tepid on gold, with many of the investment banks ratcheting back just a bit on their target prices. But most also see prices heading up to and beyond the $2,000 level in 2013, meaning they see a potential gain of 22% or better. Peter's target price is a bit more aggressive: He sees gold trading as high as $2,200 an ounce - 34% above current prices in the $1,640 range. I've worked with Peter for several years now, and admire the way he works. 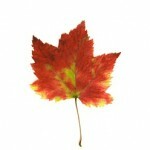 He based himself in resource-rich Canada in order to be closer to the many companies that he covers. And he's made a number of truly superb market calls: In September 2010, for instance, when silver was trading at $19 an ounce, Peter told investors the metal was a "Buy" - and we then watched it soar to a high of $48 (a 153% windfall). 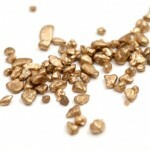 So when I decided to bring you the latest insights on gold - and some recommendations, as well - I went to Peter. Gold prices plunged Thursday, hitting lows not seen since August, after the U.S. Commerce Department reported an unexpectedly robust reading on third quarter U.S. gross domestic product (GDP). After the surprising strong report, February gold tumbled $14.50 an ounce to $1,653.50 and spot gold sank $22.80 to $1,643.10. Silver prices fell as well, losing $1.13 to $29.95 shortly before noon. Prior to the report, the yellow and white metals were little changed. The fresh report revealed GDP in the third quarter expanded at an annual rate of 3.1%, the fastest growth since late 2011. That was up from the 2.7% pace logged last month, and better than economists' expected 2.8% rate. Phil Streible, a senior commodity broker at R.J. O'Brien & Associates in Chicago told Bloomberg News, "The GDP number was better than forecast, so the thinking is that improving conditions in the economy might mean a light at the end of the tunnel on when the Fed will end QE3." Gold and silver have been big beneficiaries of the FOMC's generous QE3 programs. But there's more than the end of QE measures as to why gold prices are down.